Warm slippers for high altitude, expeditions in polar conditions and for mountaineering. 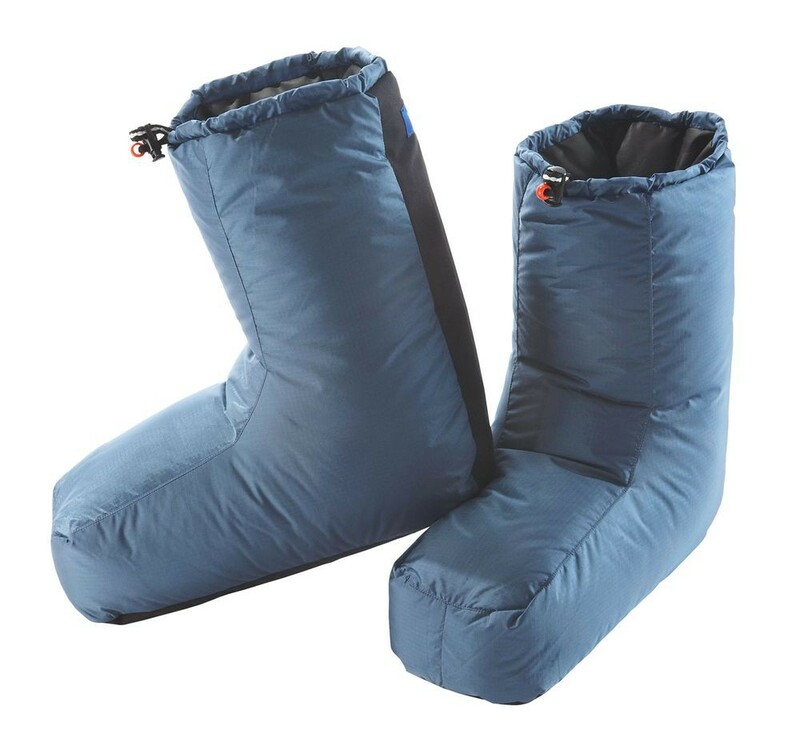 Warm slippers for the camp, for expeditions and mountaineering. These comfy slippers keeps your feet warm. 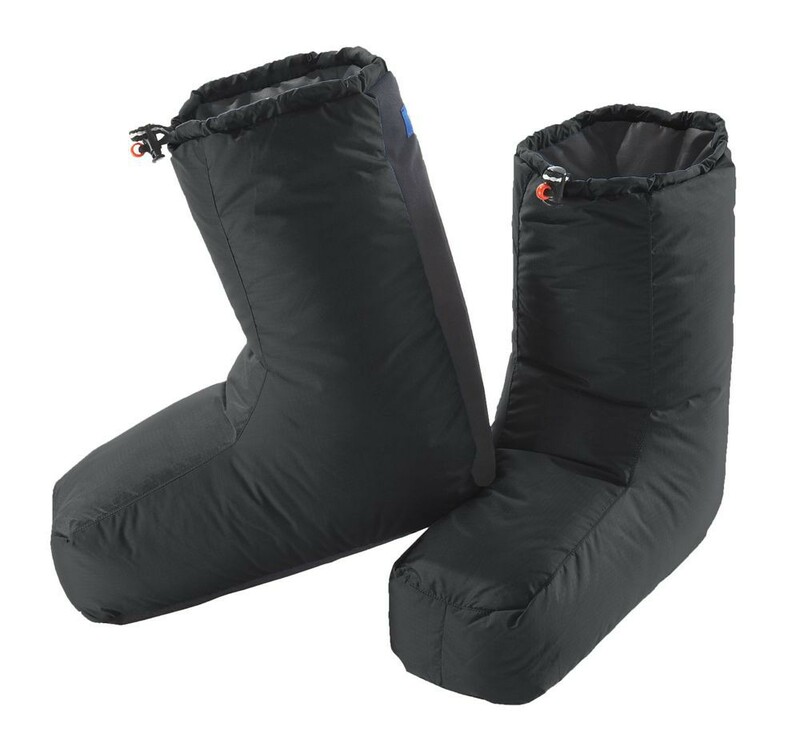 The excellent weight / thermal performance is guaranteed by the quality of gray goose down 800+ cuin (84 g for size M). 4 compartments and an elastic adjustment. Fabric reinforced at the base and on the calves. Olan protects you up to a temperature of -25 ° C. Outer fabric: Japanese water repellent treated.